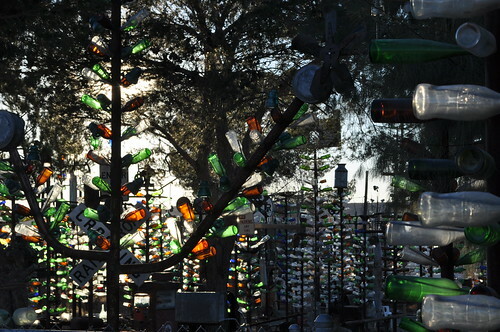 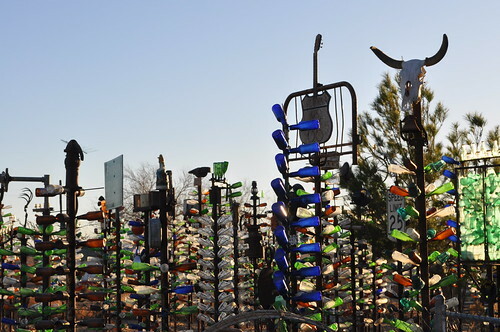 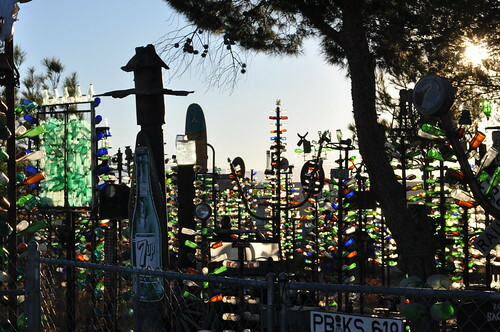 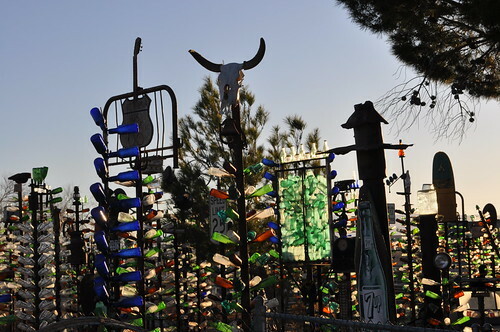 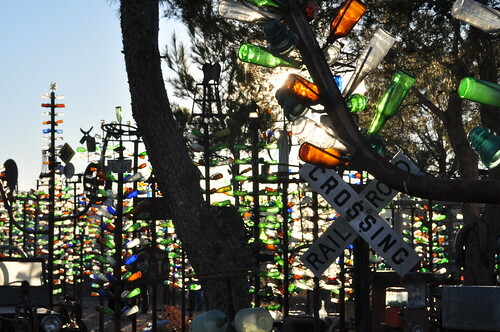 On my first Route 66 leg, I stopped in Oro Grande, CA when I spotted what is apparently Elmer Long's Bottle Tree Ranch. 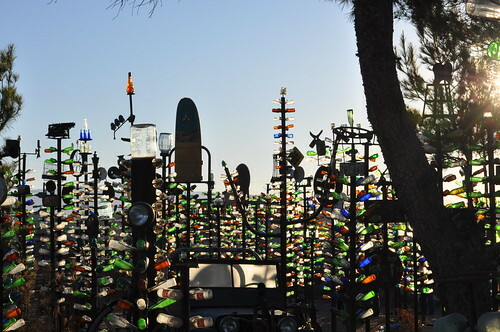 At the time when I was there, I didn't know exactly where I was, I just spotted the amazing bottle sculptures out of my car window and pulled over to take some pictures. 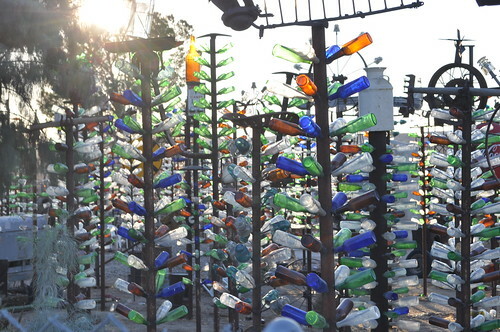 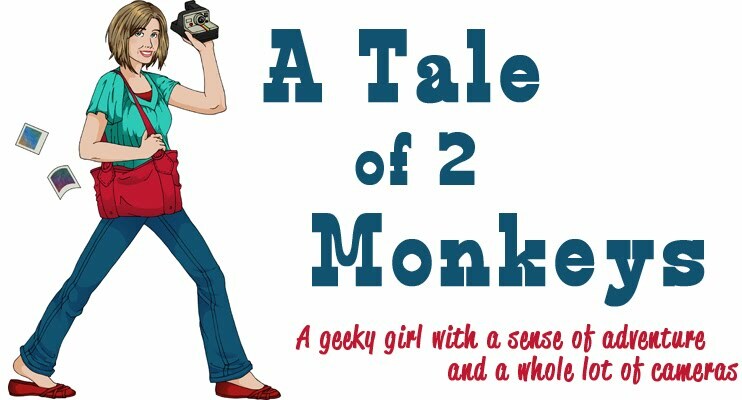 What a cool idea, eh? 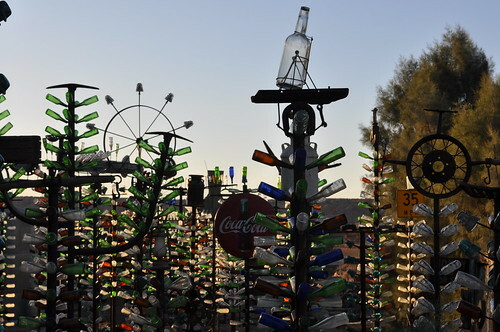 That's what I call upcycling. 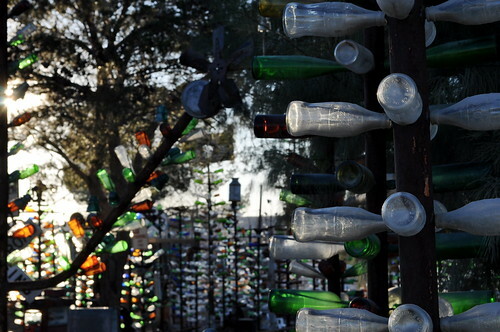 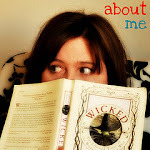 Great photos, really interesting way to reuse!